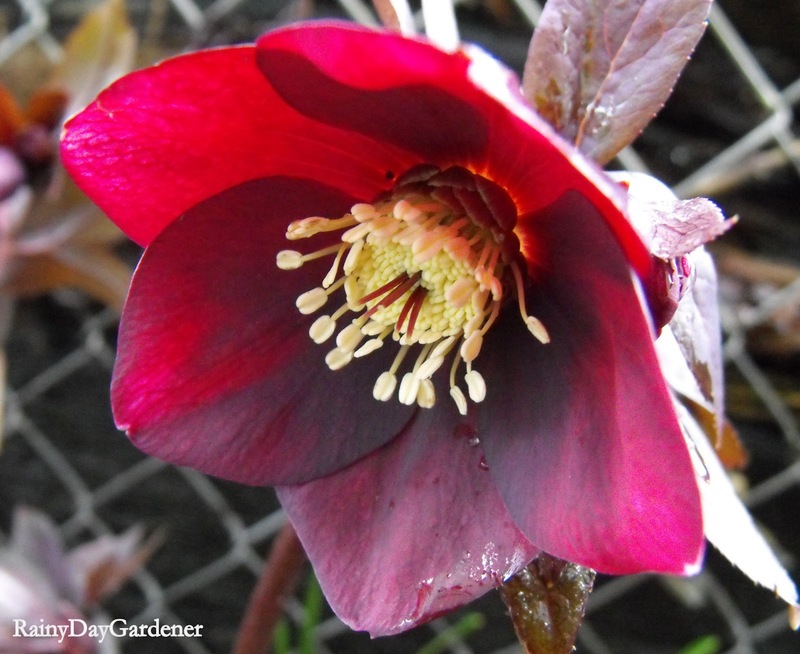 It's that time of the month to celebrate blooms! My late winter gardens have a few pretties to share. 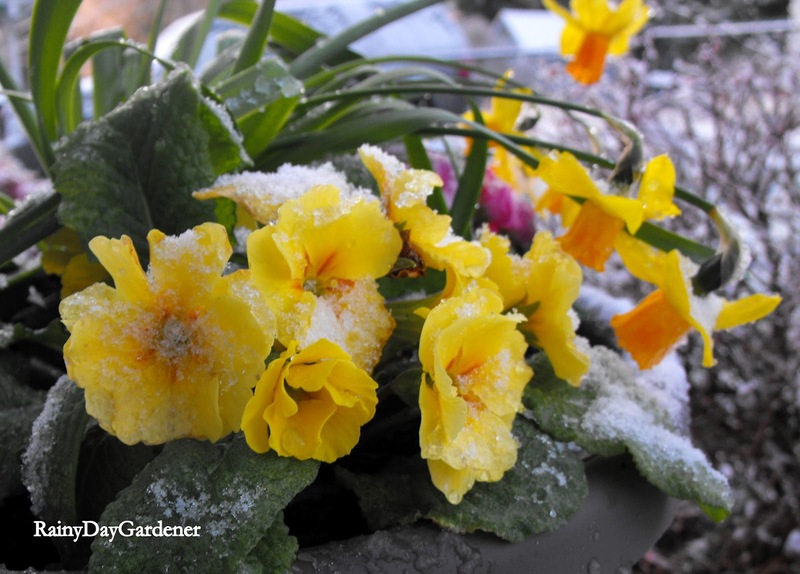 Primrose and daffodil containers brushed with snow. Spritely crocuses creating a pretty blanket of color. Tete a tete Daffodils just beginning to open. A few Mt. Hood Daffodils have opened. Someday I'm going to have a yard with daffodils naturalized *everywhere*! I love them. Plus they are so sturdy for our sometime wicked weather conditions in the late winter. 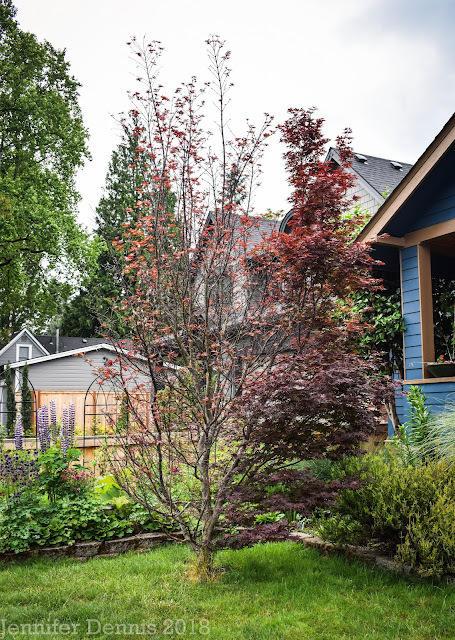 Winter is wrapping up, although we have a La Nina affect upon us again which means a cool, wet spring will be the order of the season here in the Pacific NW. 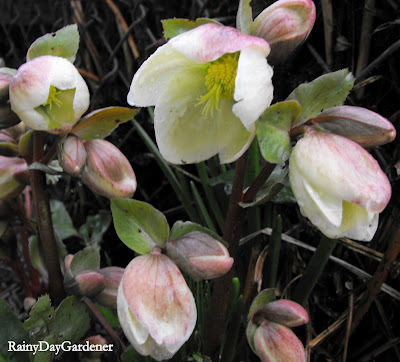 Link over to Carol's at May Blooms Garden to join in the party in our fun monthly show of blooms. La Nina is working her magic over here too, but sending down buckets of rain. The wet season just seems to be going on forever again this year. Loved your blooms. 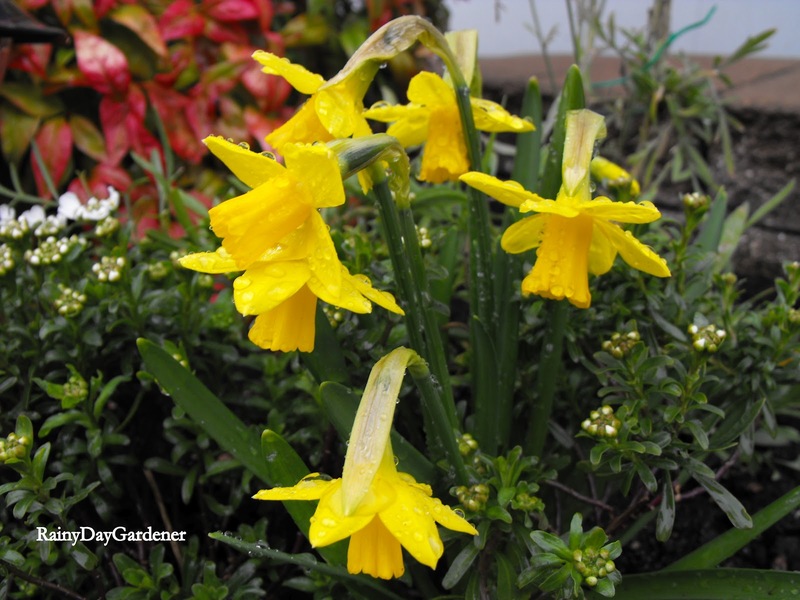 How I wish I could grow sweet Daffodils and Crocuses! Very cheerful photos! Happy Blogger's Bloom Day! Hi Sue, we had snow last week and this week. Crazy!! You are ahead of us. 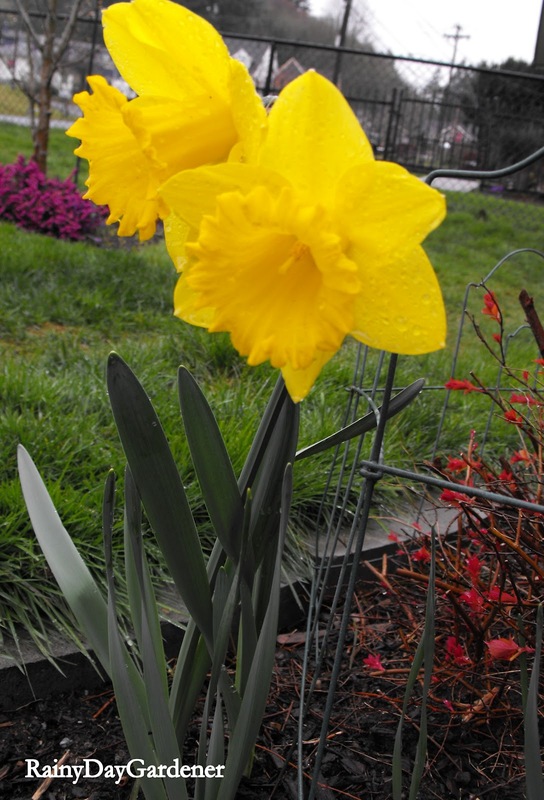 My daffodils are just beginning to bloom. Lovely! Your hellebore are beautiful, but crocus are my favorite spring bulb. They're just so sweet! Yours are putting on a great show! 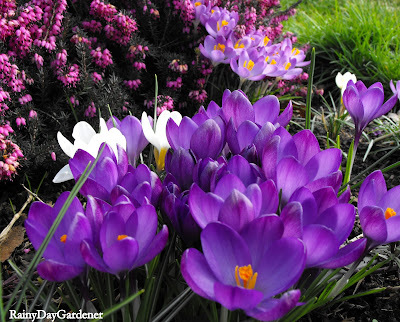 Every spring when I see everyone's crocuses and daffs I think, I need to plant some! But then I forget. Maybe this fall I'll remember to plant some. Lovely flowers. it doesn't seem like the odd weather we've been having has affected them much. I wish spring would take hold a little more. The new growth and flowers make everything seem happier and more cheerful. Is Washington State Air Quality Getting Better or Worse?